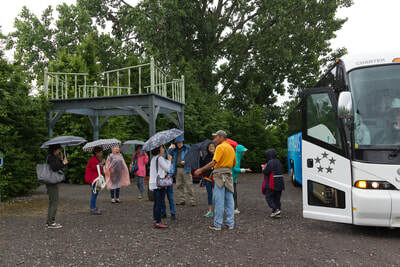 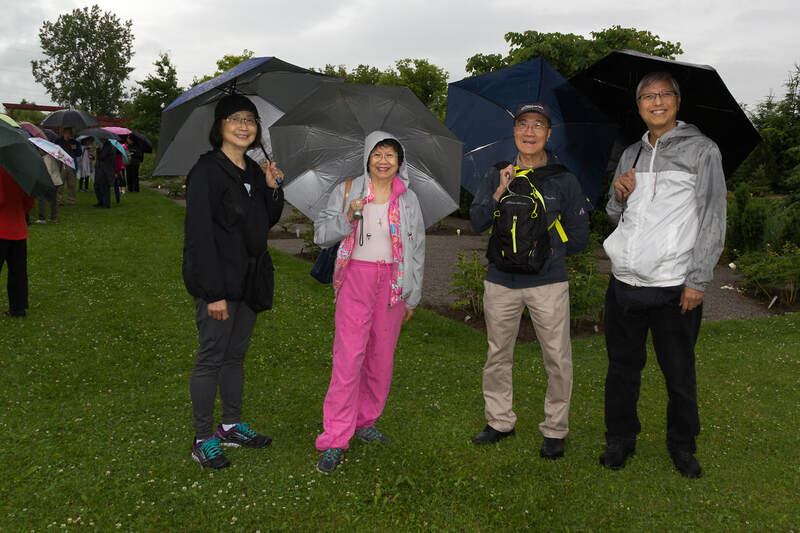 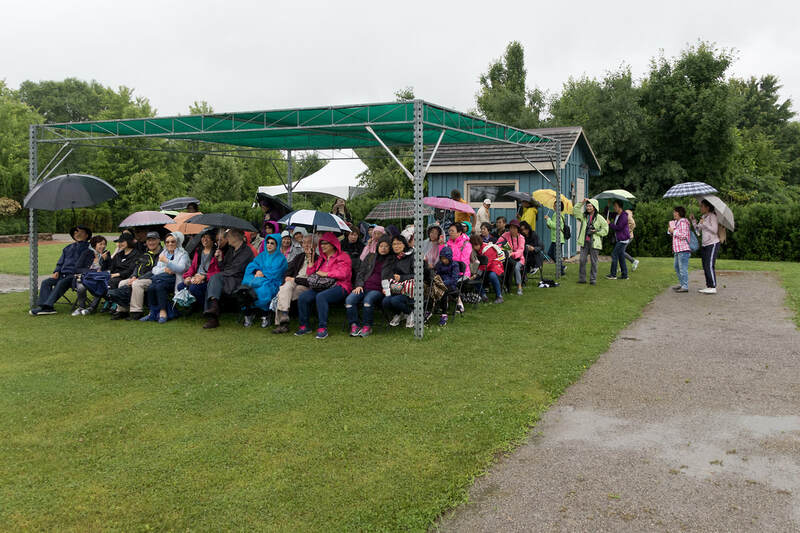 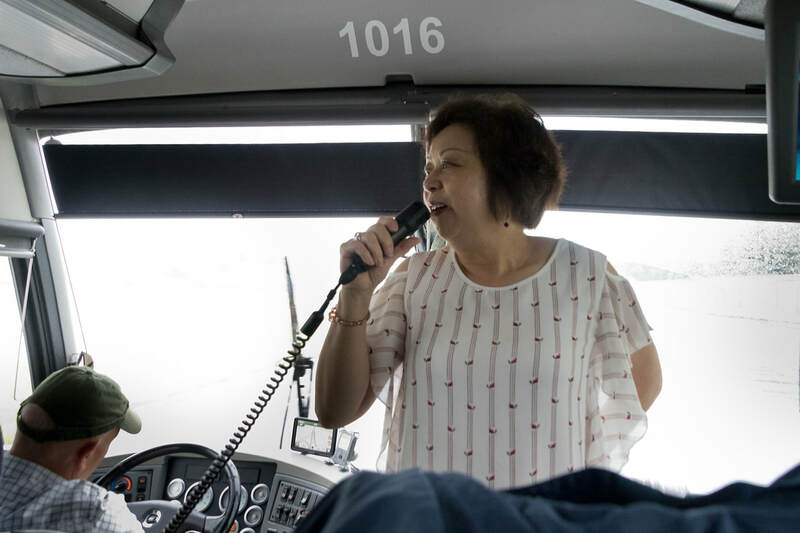 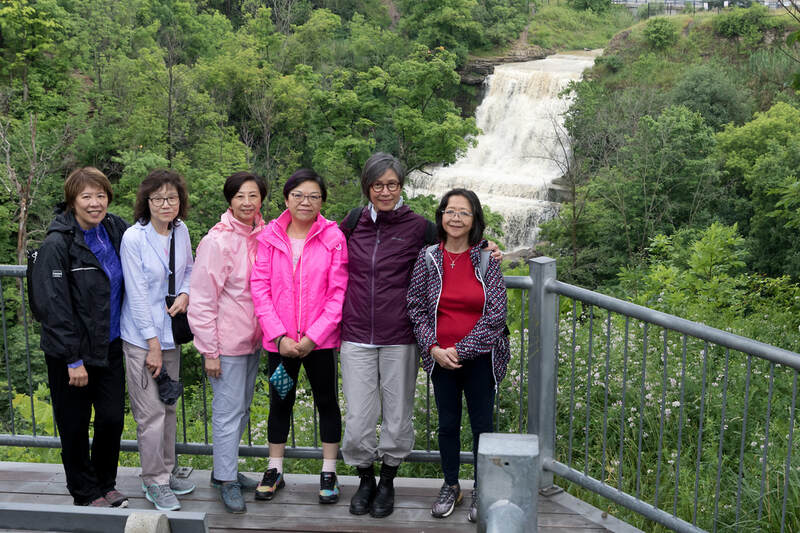 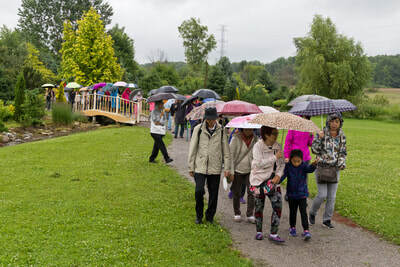 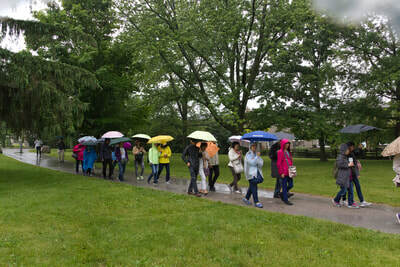 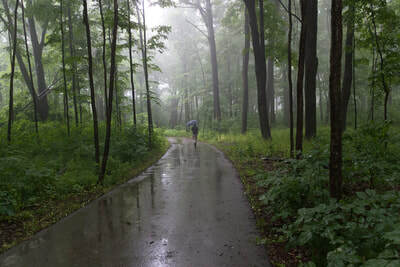 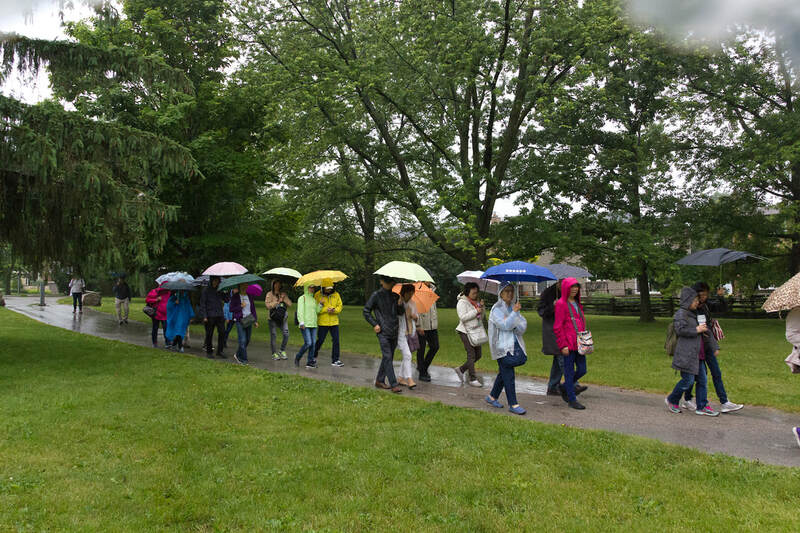 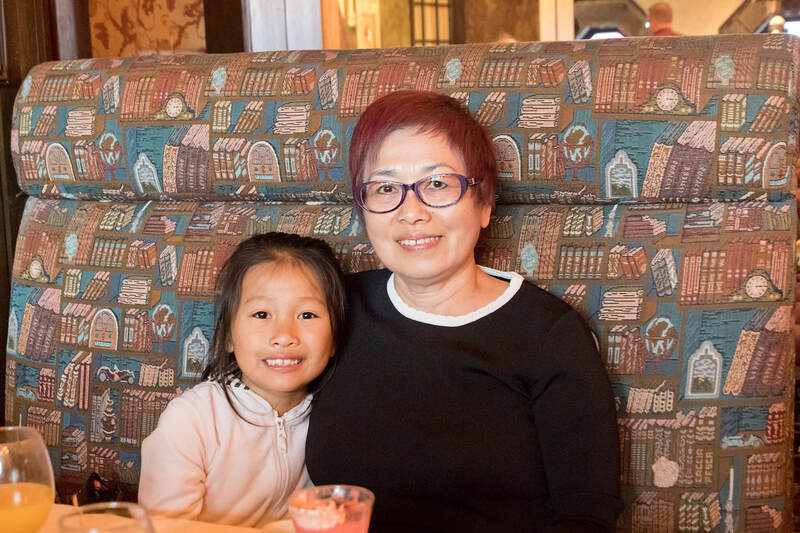 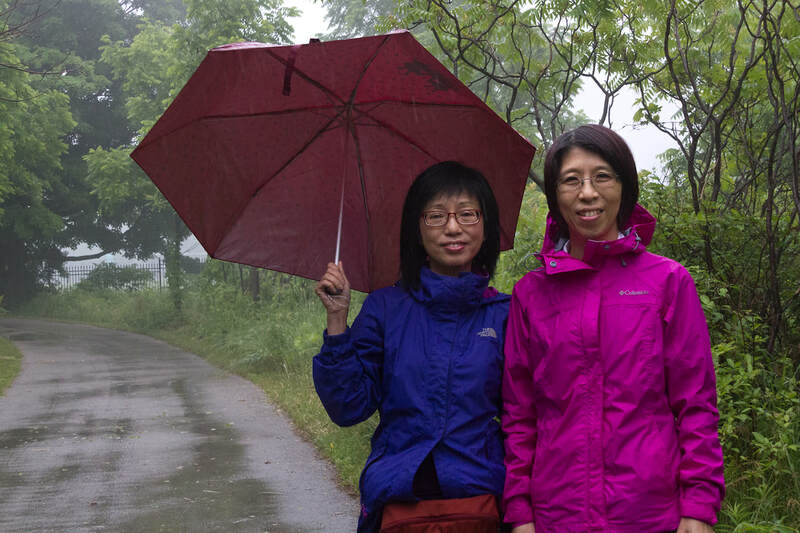 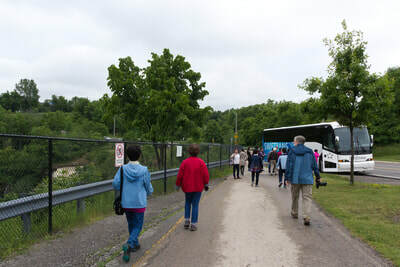 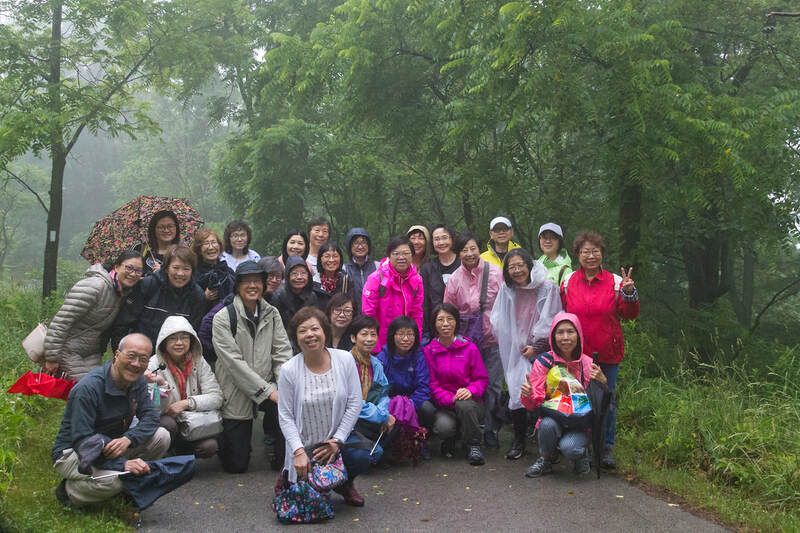 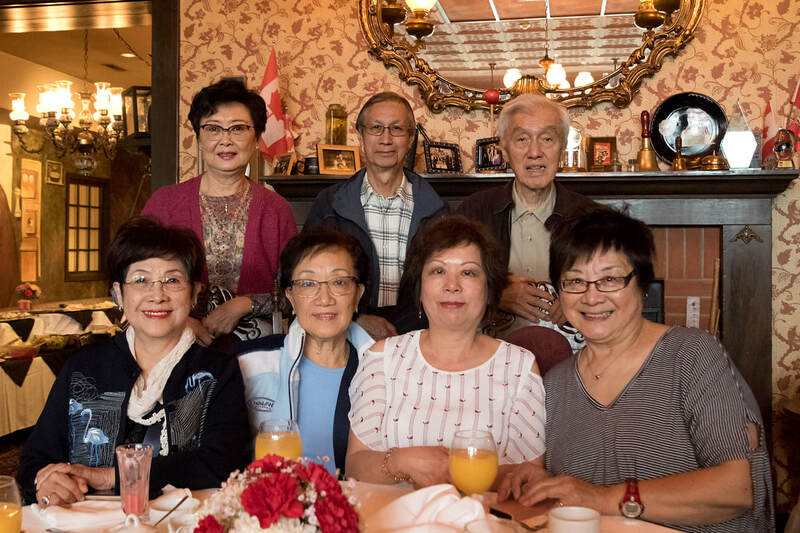 On Sunday June 24, 2018, a total of 55 participants (Sacred Heartists with families and guests) attended this day trip and explored the natural beauty of Hamilton. 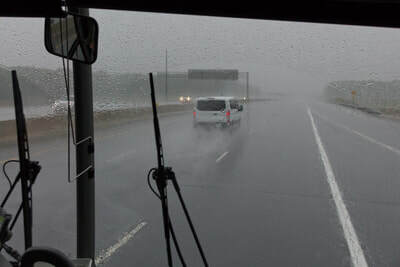 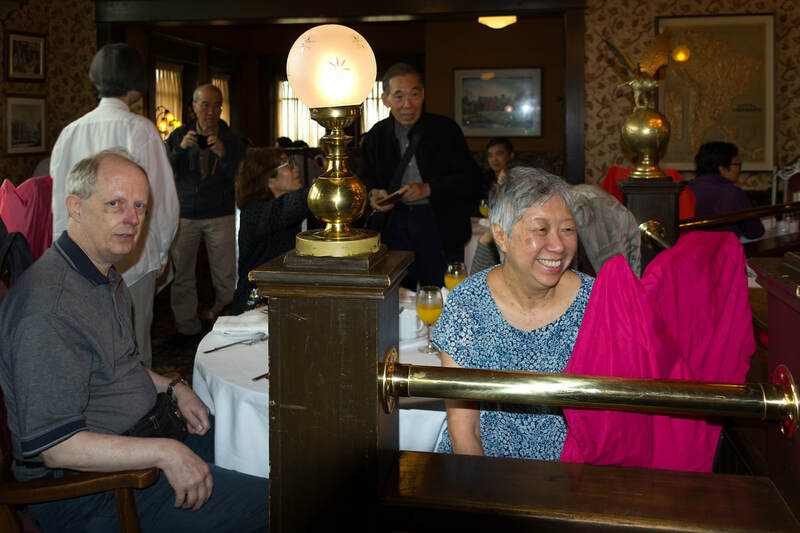 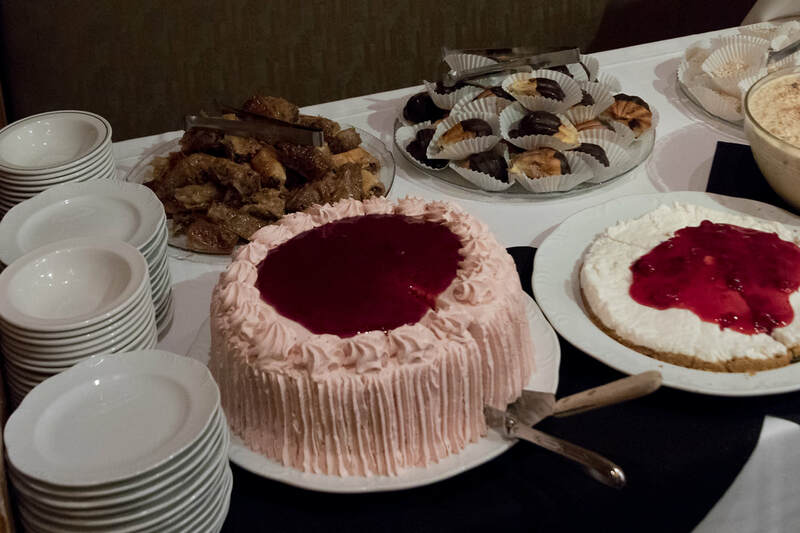 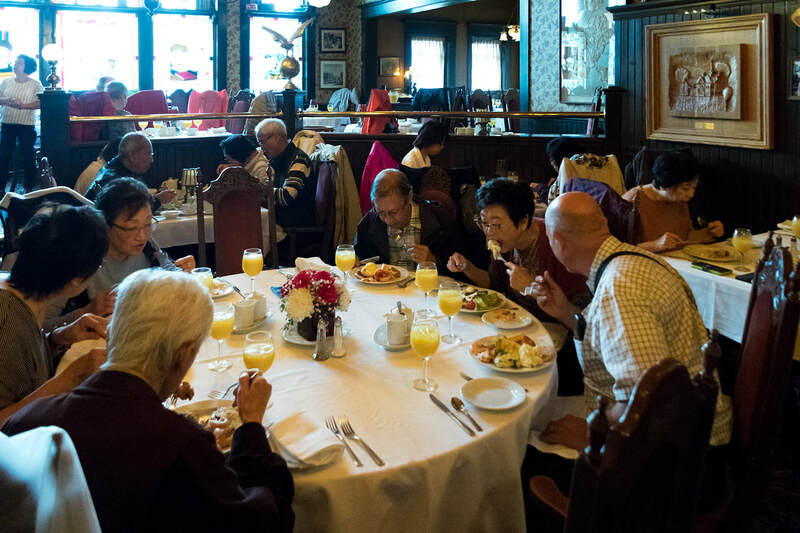 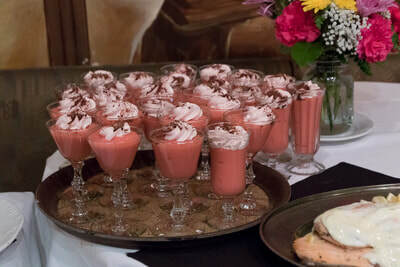 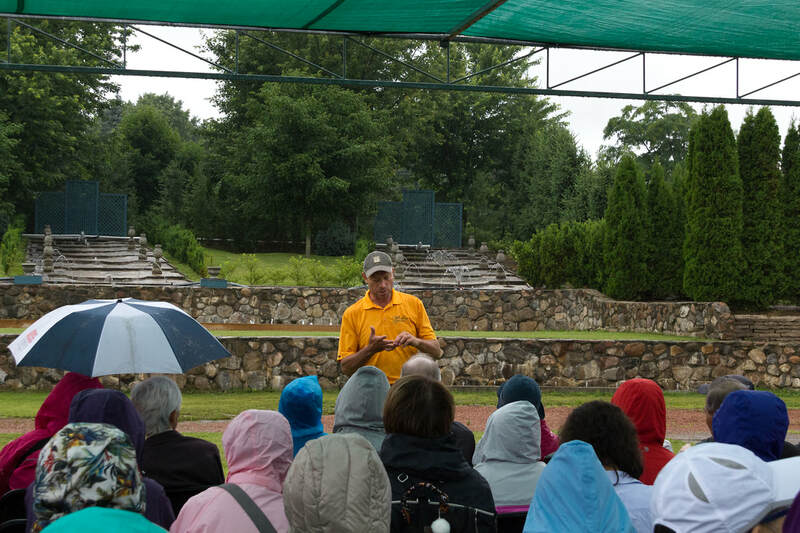 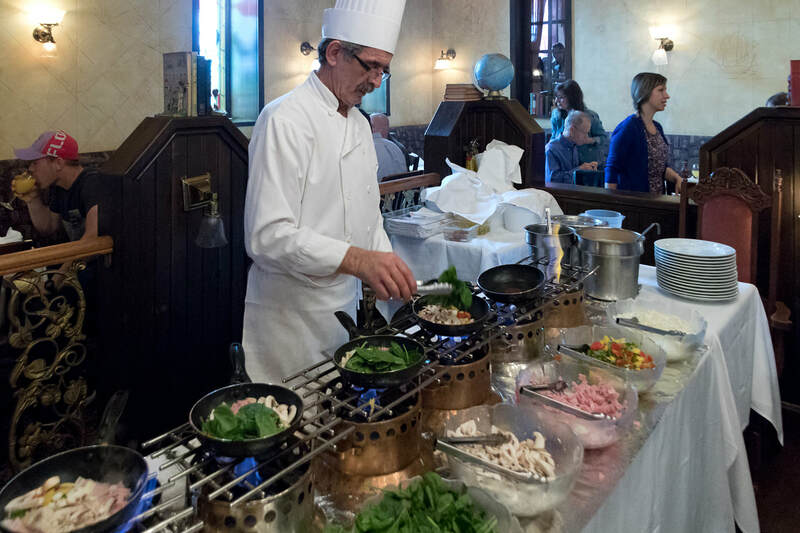 Despite the rain, we received positive feedback from the attendees regarding the scenic attractions and the brunch at The Olde School Restaurant and Piano Bar. The flow of the photos has been arranged to enable a "virtual" tour of the trip. So, enjoy ! 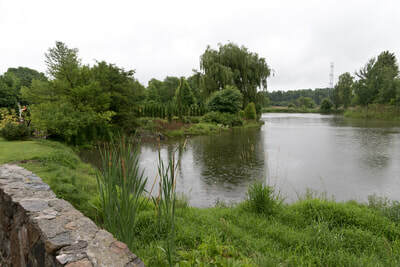 Hamilton is situated at the west end of Lake Ontario. 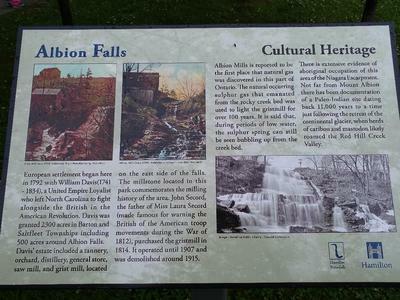 The town was incorporated as a City in 1846. 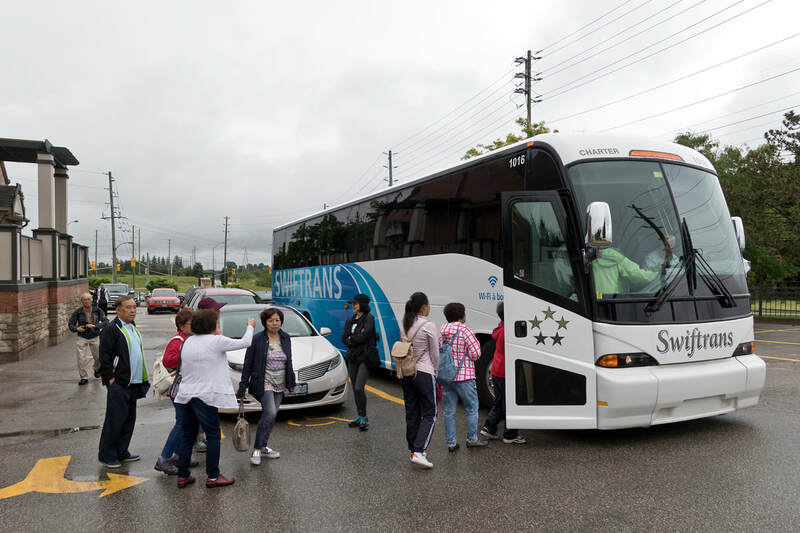 Its population, according to the 2016 census, was 536,917. 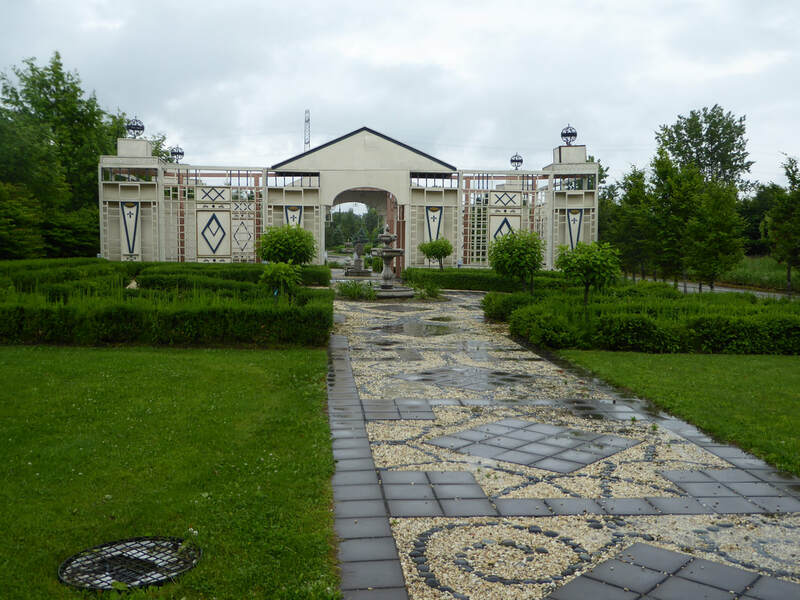 4) The Hamilton area was also intimately connected with the early history of the telephone. While staying at his parents’ Brantford home in neighboring Brant County, Alexander Graham Bell conceived of the idea of the telephone in 1874. 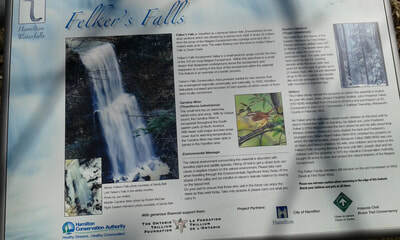 The Felker's Falls is: 72' high, 20' wide. 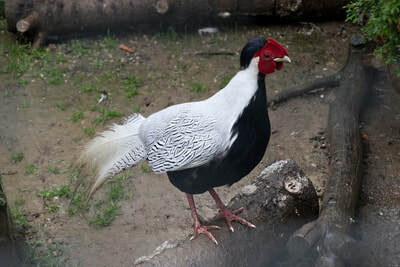 Type: It is classified as a Ribbon Waterfall where the height is notably greater than its crest width. 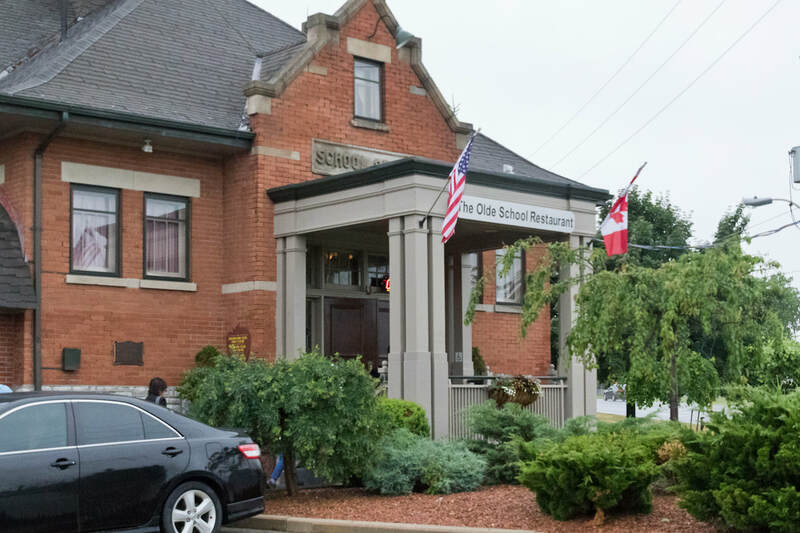 The building is a converted schoolhouse dating back to the 1870s, when it was known as the Moyle School. 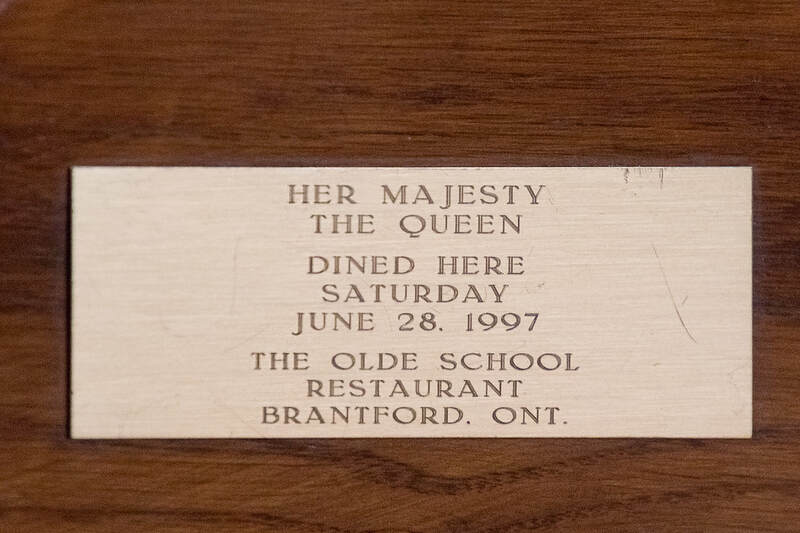 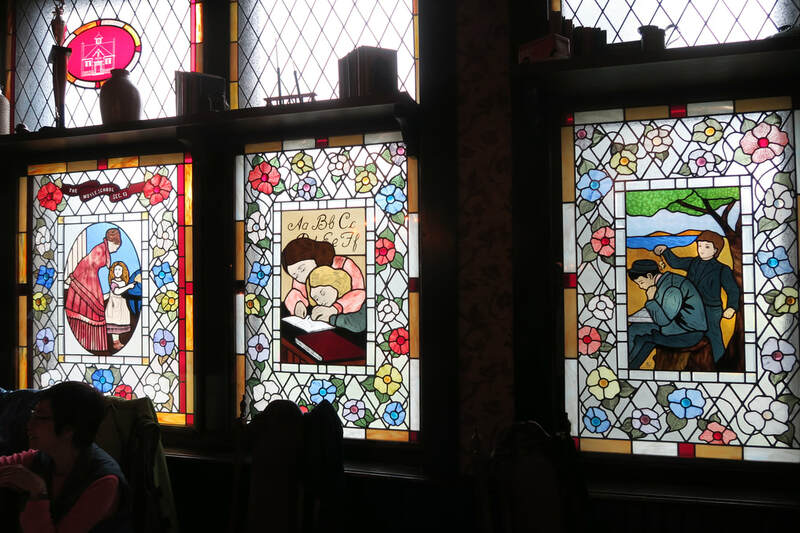 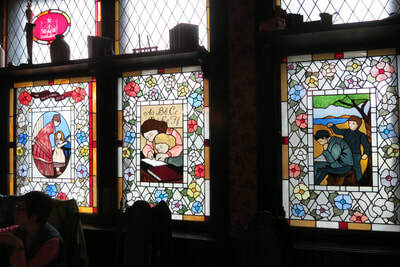 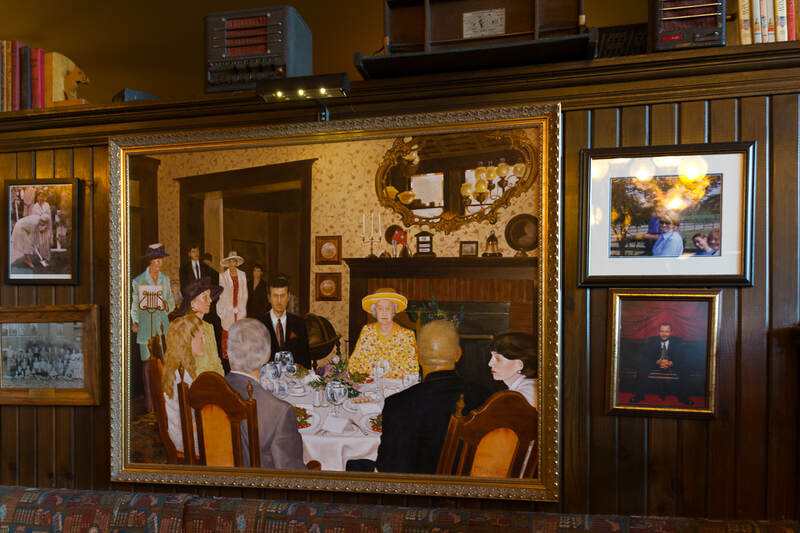 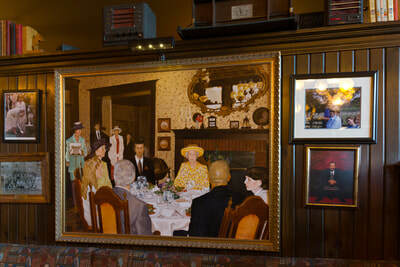 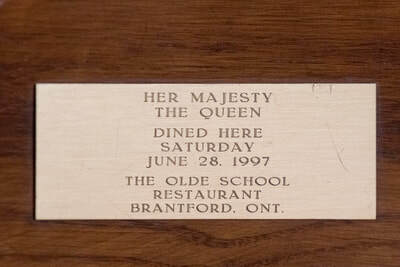 The restaurant has been in business in Brantford since 1982. Chef-Omelette making 6 orders at the same time ! 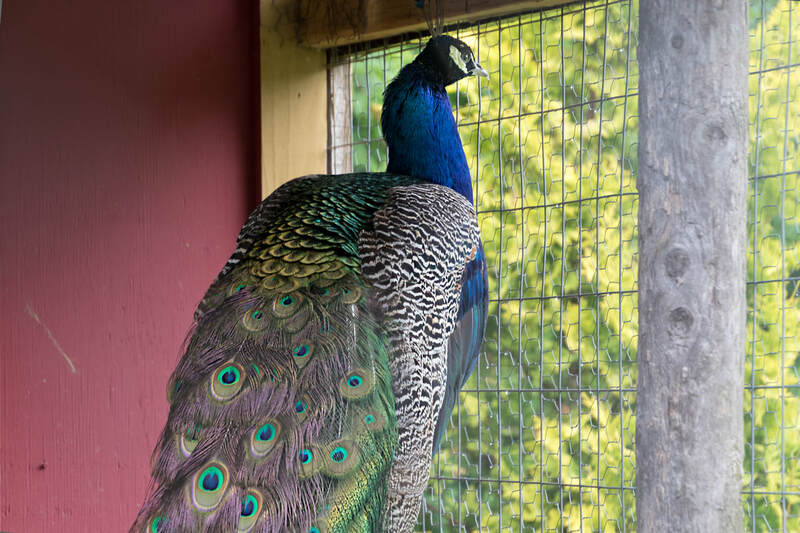 Whistling Gardens, in Wilsonville, Ontario, nestled in Norfolk County just minutes south of Brantford. 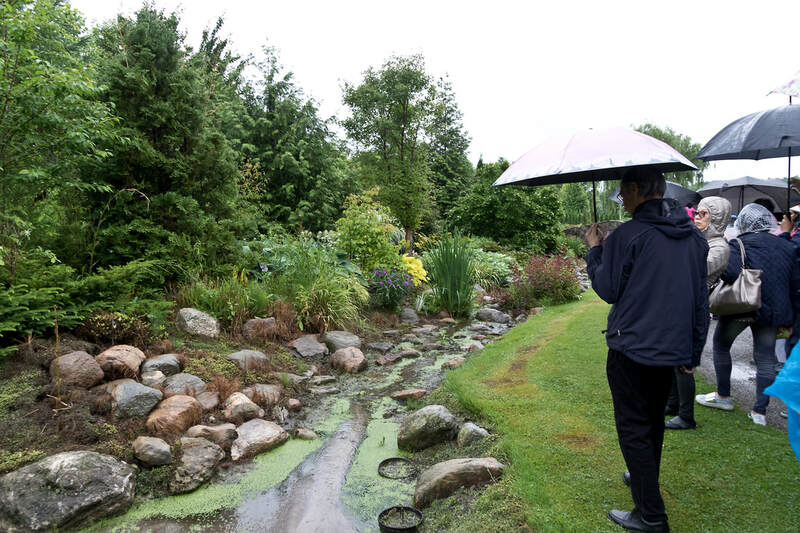 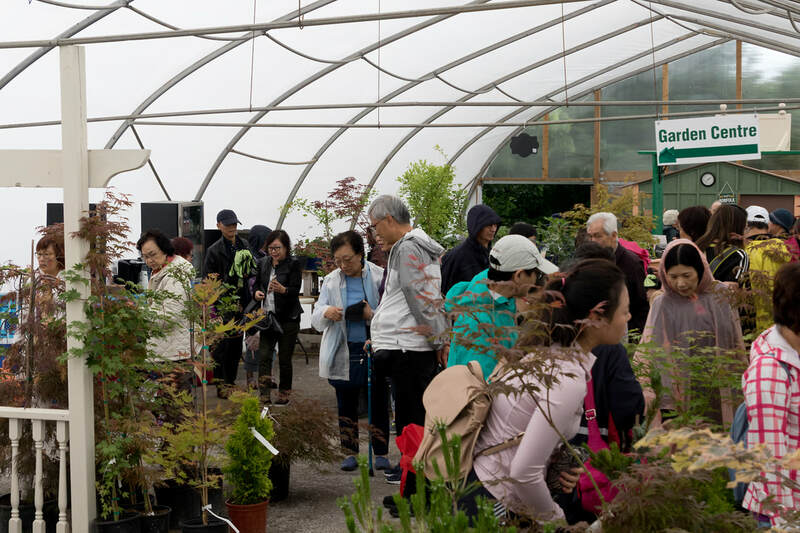 It is Canada's newest botanical garden. Privately owned. Grand opening in 2012. 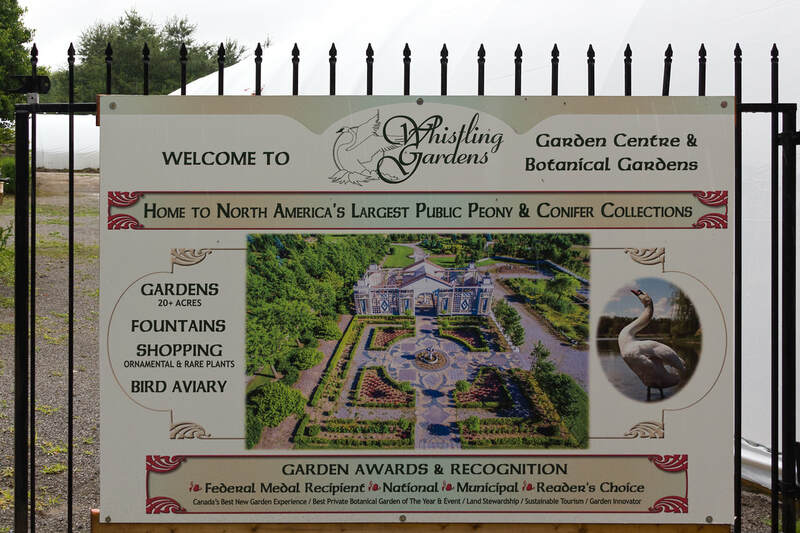 A small 20 acres garden being recognized, by the Canadian Garden Council, with some of the large iconic gardens across Canada. Has more than 1,000 varieties of peony. Best time to visit is during the first two weeks of June. 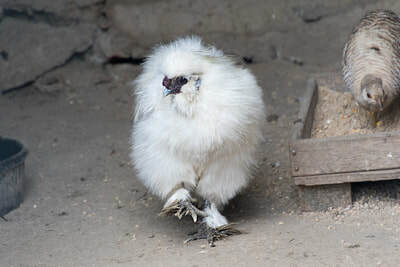 Silkie (竹絲雞) has fluffy plumage, black skin & bones, blue earlobes and 5 toes on each foot. 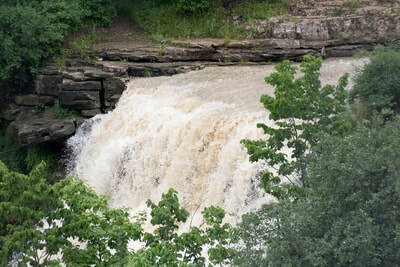 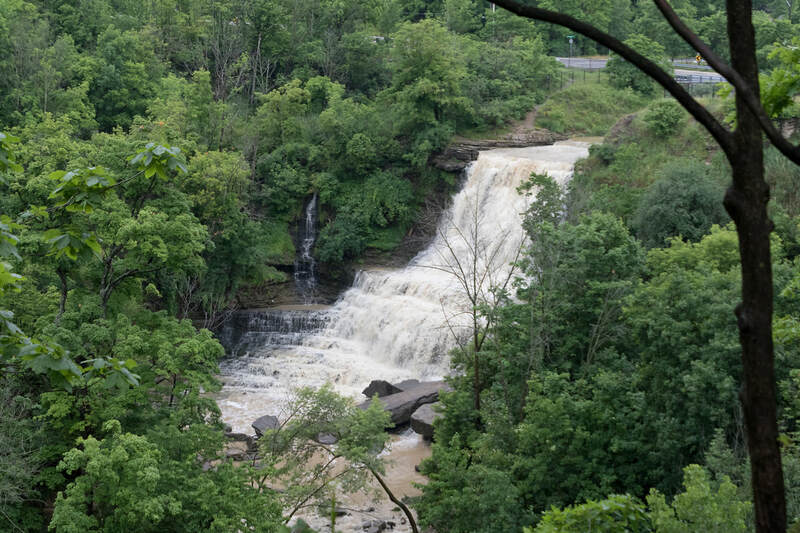 The Albion Falls is: 62' high, 59' wide. 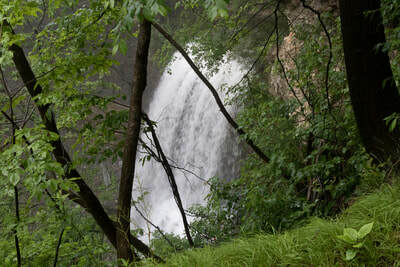 Type: It is a Classical (the height & crest width are nearly equal) / Cascade (the vertical drop is broken into a series of steps causing water to "cascade" down incline) Waterfall.